For instance, in the senior will page of Peppy Particles (1922) Mr. Brown, Miss Merritt, Miss Pearson, and Miss Pitt are mentioned by name. Miss Rosemarie Chabert, 79, of 818 W. Yakima Ave., died Sunday in St. Elizabeth Hospital. 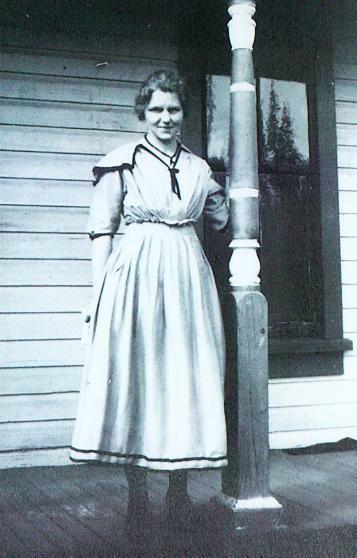 She was born in Kansas and moved with her parents to Cle Elum, where she attended grade school. She finished high school in Yelm and then attended Bellingham Teachers College. She taught in Yelm and Oroville after leaving the college. Miss Chabert then attended Washington State University and earned a B.A. degree. She taught seven years in Wapato before moving to the Yakima School District. Before retiring from teaching, Miss Chabert taught in a cooperative kindergarten before public schools started to offer kindergarten as part of the standard curriculum. She was a member of the First Presbyterian Church, a member of the Women’s Association of that church and a charter member of the National Delta Kappa Gamma, a teacher’s organization. “The first is a picture of Zella on the porch of her mother’s home on Park Avenue in Tacoma. Her father has built the house and it is still standing in south Tacoma. The second picture is of Zella and Essie Riese in 1923, once again in their mother’s front yard but the house behind is the neighbor’s house. Essie was also a teacher teaching the lower elementary grades while Zella taught the upper elementary grades. 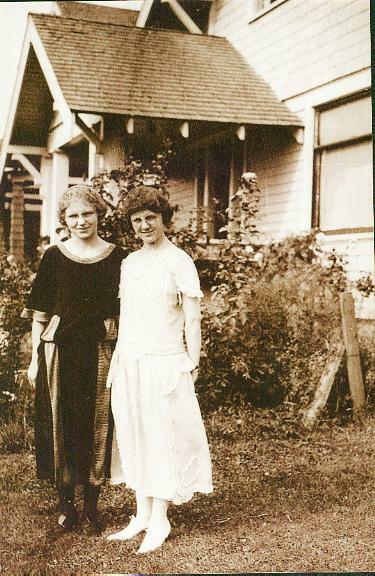 They may have taught together in Brewster, Washington. Later they both taught in the Tacoma School District. The third picture is of Zella and her niece Vedajean McCoy. This would have been about 1927. Zella was married in 1927. 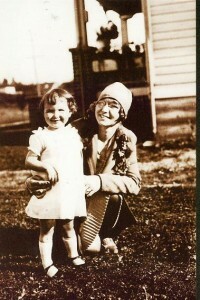 Zella had no children but her niece and nephew, Dean, born in 1927 played a big part in her life. Zella appreciated the flapper age of the 20’s and that is somewhat evident in this picture. Zella was a teacher who remained in her student’s lives. They would visit her in the 50’s and 60’s when she and Clare lived on the cranberry bog at Grayland. One 6th grade boy was an excellent carver and carved in Ivory soaps the seven dwarfs of Snow White. He died during World War Two. Zella kept the carvings on display in her buffet hutch. They were denoted to Whitman Elementary School in Tacoma after her death. A number of her former students attended her funeral in 1978.